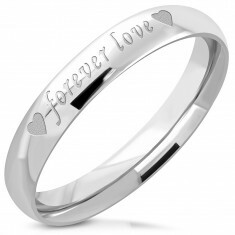 Your favorite product: Ring surgical steel - is added to the wish list. A glossy steel ring, silver in color, the inscription JESUS. Your favorite product: Steel earrings - is added to the wish list. Earrings made of surgical steel - hook, shiny silver flat rose. 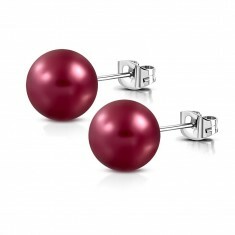 Your favorite product: Earrings made of surgical steel - is added to the wish list. Steel earrings on motif Fleur de Lis Cross. Your favorite product: Puzetové earrings made of steel - is added to the wish list. Round earrings made of surgical steel, theme dalmatinských spots, puzetové fastening. 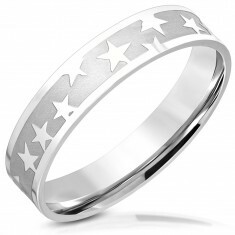 Your favorite product: Steel ring, silver color - is added to the wish list. Ring made of surgical steel, the contour of an asymmetrical heart, round clear stone. 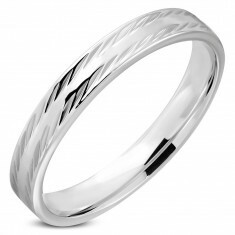 Your favorite product: Ring silver color of surgical steel - is added to the wish list. A shiny steel ring in a silver colour - two series of oblique shallow incisions. 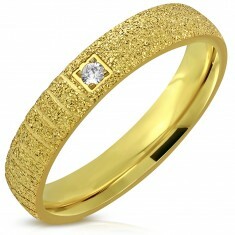 Your favorite product: A shiny steel ring, gold color - is added to the wish list. Ring gold color from the steel - surface of a modified sandblasting, shallow incisions, round zircon set in a square socket. 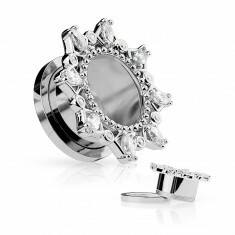 Your favorite product: Earrings made of steel - is added to the wish list. Slightly bulging earrings made of steel 316L with a motif of a BIOHAZARD in black and white combination, puzetky. Your favorite product: Rubber bracelet-yellow color - is added to the wish list. 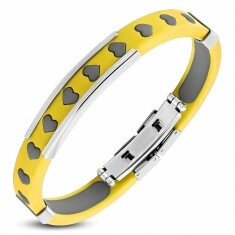 Steel-rubber bracelet in yellow colour - cut-outs in the form of hearts, removable trim panel, gray color, steel trademark. Your favorite product: Steel tunnel in my ear - is added to the wish list. Steel tunnel in my ear with a hemp leaf, green zirconia and black rubber band. Your favorite product: Piercing surgical steel - is added to the wish list. A steel piercing with a glossy smooth surface ring with a ball. 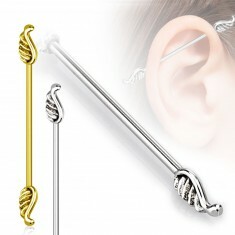 Your favorite product: Ear Piercing surgical steel - is added to the wish list. 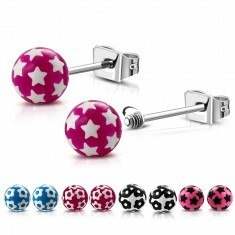 A steel piercing to tragu with a shiny cross and a ball. 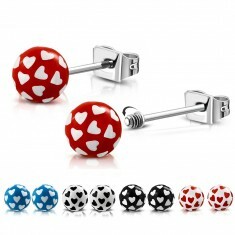 Your favorite product: Piercing made of steel 316L - is added to the wish list. Piercing in the tongue - a steel bar, dichroic bead, and hairball. 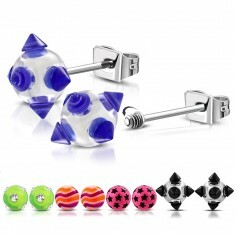 Your favorite product: Steel piercing 316L - is added to the wish list. The Piercing of stainless steel in the form of a horseshoe with a smooth, glossy surface completed small balls. Your favorite product: Piercing in the tragu ear steel 316L - is added to the wish list. A steel piercing in my ear - the longer barbell with two terminals in the form of angelic wings.